Lydia, Stef and Filip are involved in Retrievers for several years. They became involved into retrievers due to their grandfather and other family members who loved to hunt and used retrievers to help them. Today they like to hunt themselves and on every outing they take their retrievers. 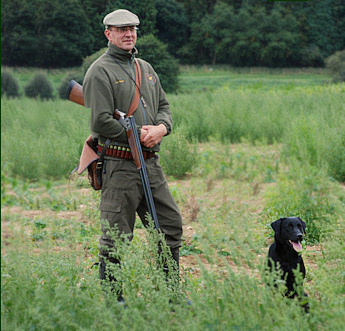 Going out for shooting or picking up with friends and dogs is the best reward for all the training they put into their dogs. 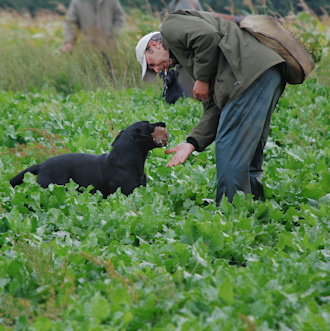 The British way of training, handling and breeding gundogs is their example and they only run their dogs in real Field Trials where game is in the fields before the trial starts. 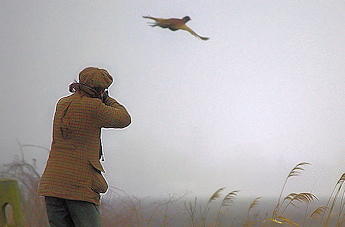 That’s the only place where a title of a gundog can be gained. After the shooting season they run their dogs in Working Tests to get them ready for the real thing. They founded their kennel “STARCREEK” which fluctuate in size from 10 to 15 retrievers depending of the quality of the dogs. Up till today they have made up 9 FT Champions. They run their dogs with success in National and International events. 3 times they won the Belgian Championship ( 2004-2007-2008). In 2003 they won the Team competition “Coupe d’Europe” in Belgium of which they were 2 members and in 2004 they won the semi final and final of the International Challenge Cup ( ICC) in Hungary. Further they took part in FT’s in England where they gained 3 times first place at a FT.
Lydia, Stef and Filip are FCI Field Trial judge for retrievers and defend the working retriever and sport in several national commissions.